“The line ran from c1971 -76. I don’t have any photos of it. Motive power was D7023 4w-4PM Cromar White 1971 New, sold 6/79 (The Hymek you mention in text below). This then went to Pleasurewood Hills Theme Park before being sold to Ireland in the mid 1980s, and it hasn’t been seen since! It was operated for a while by members of the Chasewater Railway, starting in summer 1975 and ,as far as I am aware, continuing in 1976. The line was wholly owned by Walsall Metro-Borough Council. On 23rd June the museum was given part of a collection of items from the late David Ives, one of the founder members of the Railway Preservation Society, and for some years an officer of the Chasewater Railway. 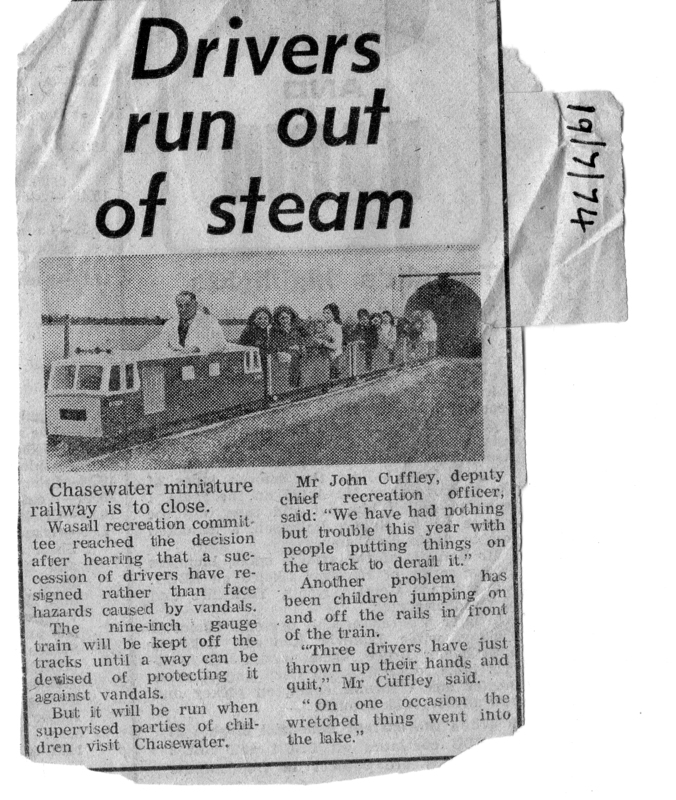 This is the second part that we have received from his son Robert and on sorting through these items our Curator, Barry Bull, came across a newspaper cutting from a local paper dated 1974. It’s been a while coming but at last we have some idea of what it was like – and the problems they faced!! 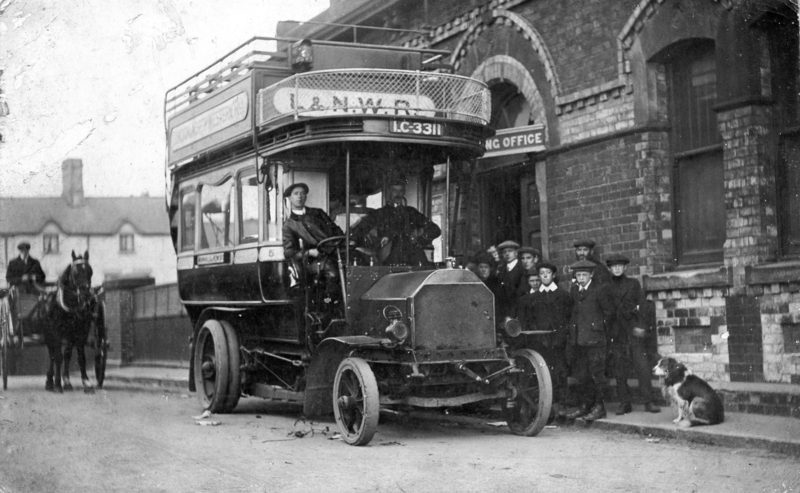 Another item found was a post card, believed to be of the old Hednesford Railway Station with an LNWR bus waiting outside. This entry was posted in Museum & Artefacts and tagged Aldridge, Brownhills, Burntwood, Chasewater, Chasewater Miniature Railway, Chasewater Railway Museum, Cheslyn Hay, Great Wyrley, Heath Hayes, Hednesford, Lichfield, LNWR Bus, Norton Canes, Pelsall, Post Card, Staffordshire, Walsall, Wolverhampton. Bookmark the permalink.